Although the summer is nearly here, it can be still chilly outside. The best solution for these chilly days is wearing a cute cardigan. 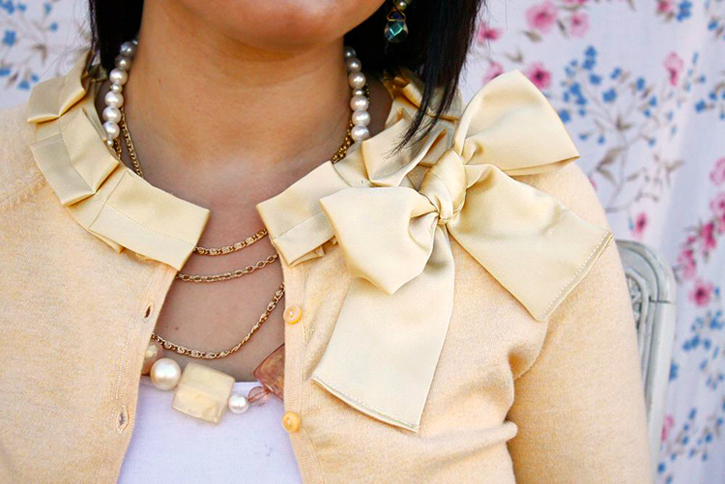 If your cardigan is not cute enough you can make it look cuter by following one of these great ideas I guttered for you. Very funky cardigan, made from two plain cardigans. Very cool idea. Visit Star for Streetlights for more details. Absolutely new look for an old cardigan. Visit Tea Rose Home to learn how to achieve this romantic flowery transformation. Tie makes all the difference! Super cute transformation on Ruffles and Stuff. 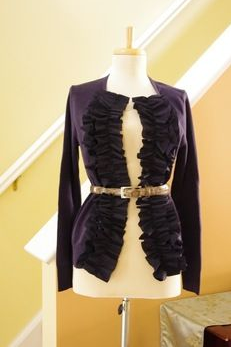 Check out this elegant ruffle front cardigan, it will be perfect for the office. The full tutorial on Cut Out + Keep. 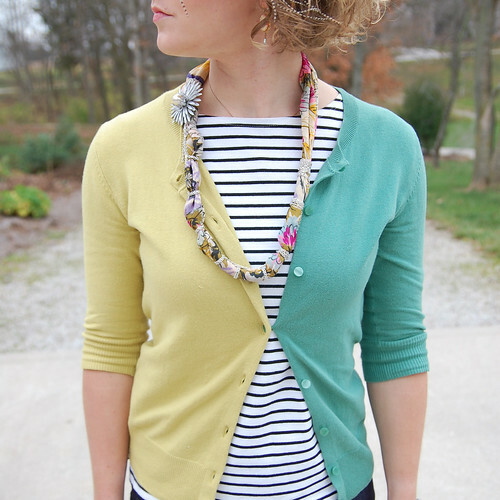 Heidi from HeidiSchlumpf transformed her boring looking cardigan with buttons. It’s not boring anymore! Go ahead and make your boring cardigan look great! Thank you for including my tutorial, Yulia! Have a wonderful day!